According to an interview with Zynga's Mark Pincus, it's a wonder that social game company hasn't made DogVille yet. Zynga founder Mark Pincus recently gave an interview to the Telegraph, where he talked about the social game company's past, present, and future. However, amongst the information about Zynga's business practices, Pincus revealed a company pet obsession that makes the sometimes sinister studio seem cute and cuddly instead. 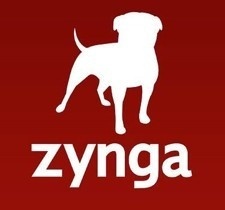 Zynga's love for dogs starts at its logo, which as you can see does indeed feature a dog. According to the Telegraph, the dog featured in the logo is Mark Pincus's deceased family pet, and the company is actually named after the pooch. The company's dog adoration goes much further than its name, with around a dozen dogs always found running around Zynga's offices. Apparently, every day at Zynga is "take your dog to work day," so dogs are constantly sticking their noses into things. It makes pet care much easier, but likely is a huge distraction. Who can work when there are cute dogs around? Zynga even went so far as to name its Wi-Fi network "PuppyNet." Now if that doesn't change your opinion of the FarmVille studio, I don't know what will. In the interview, Pincus also said that he hopes "Zynga" someday becomes a verb associated with gaming similar to how "Google" means to search. "I want people to 'Zynga' each other and for the word to become completely aligned with gaming," he said. I don't know if that's possible, but I do look upon Zynga in a new light now that its dog obsession has been uncovered. Shady business practices aside, anyone that loves dogs this much can't be all that bad.